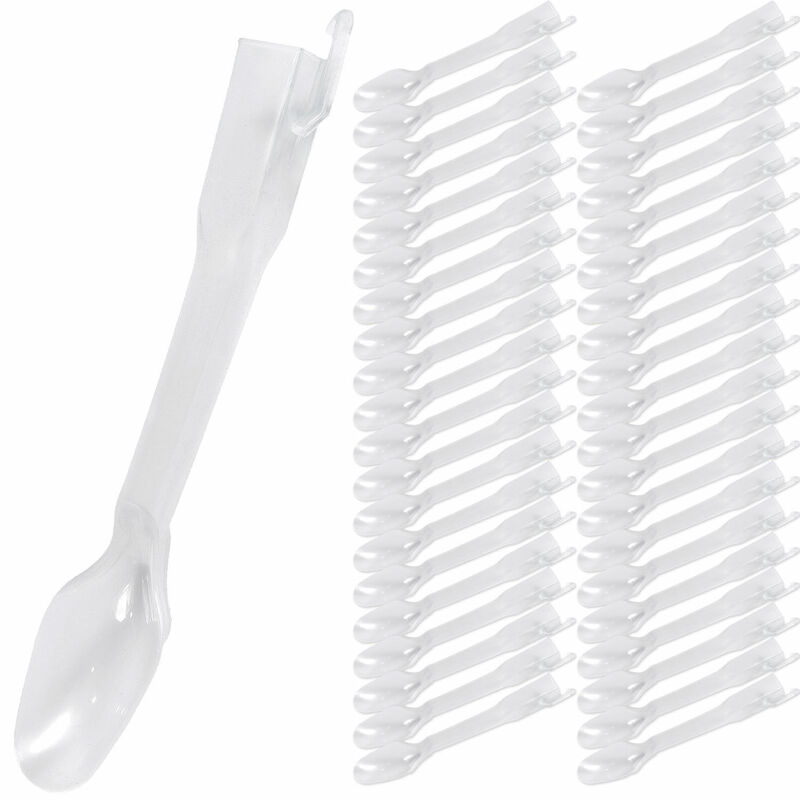 • The spoons are hollow and have a hook on the end of it for attachment to the machine. The spoons are designed to be compatible with milkshake/ blending machines. • Perfect disposable ice cream mixer for any commercial or in-home use. Such as: Ice Cream Shop, café, fast food restaurant, parties and any other entertainment place. Our Milkshakes Spoons are also known as desserts spoons. Their shovel like shape makes them a very popular option to serve and sample desserts. They'll work great with other frozen desserts too including ice cream, frozen yogurt, sundaes and milkshake. While designed with frozen desserts in mind, the possible uses for this spoon are virtually endless. They'll also work fine for tasting yogurt, sauces, soups, cakes, pie, and much more. The spoons are hollow and have a hook on the end of it for attachment to the machine. The spoons are designed to be compatible with milkshake/ blending machines. • Made of semi transparent plastic.